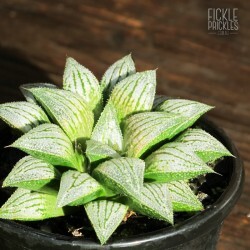 Houseleek, Hen and Chicks, Hen and Chicken. 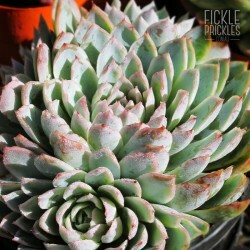 Also Known as Houseleek, Hen and Chicks, Hen and Chicken. Habit Low growing rosettes that are smaller and more compact than the original tectorum. 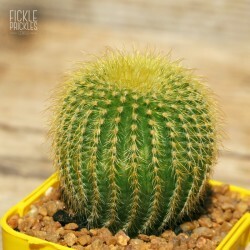 Will pup easily and spread to form a clump/cluster. Height Rosettes will grow to about 10cm in width and height, and clusters can mound up to 15cm in height. 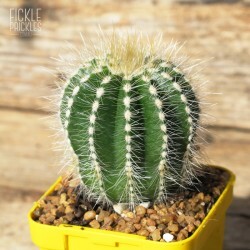 Colour Leaves are a darker green than the original tectorum, and can develop blood red/burgundy tips. Flowers Cute, pale pink, starlike flowers on short stems. Uses Great for potted gardens. 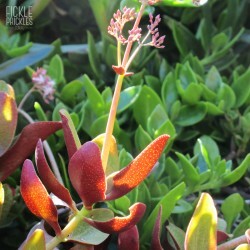 A wonderful succulent to plant in small nooks or crevices. 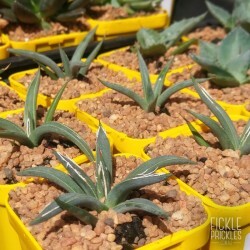 Low growing rosettes that are smaller and more compact than the original tectorum. Will pup easily and spread to form a clump/cluster. Rosettes will grow to about 10cm in width and height, and clusters can mound up to 15cm in height. 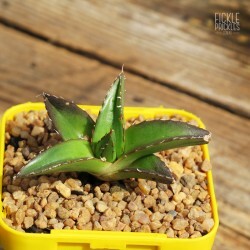 Leaves are a darker green than the original tectorum, and can develop blood red/burgundy tips. 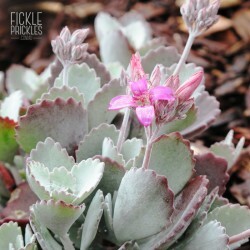 Cute, pale pink, starlike flowers on short stems. 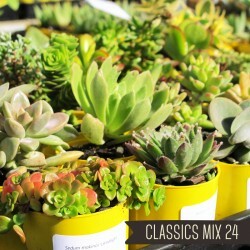 Great for potted gardens. 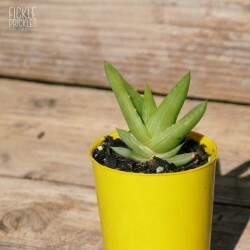 A wonderful succulent to plant in small nooks or crevices.